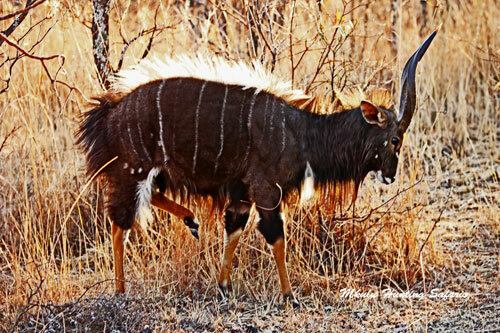 Bow hunt nyala package with Mkulu African Hunting Safaris. This is a bow hunt nyala package South Africa in the heart of nyala country. We bow hunt KwaZulu Natal (KZN) for this gracious antelope. We offer African bow hunting safari packages for the serious African bow hunter. 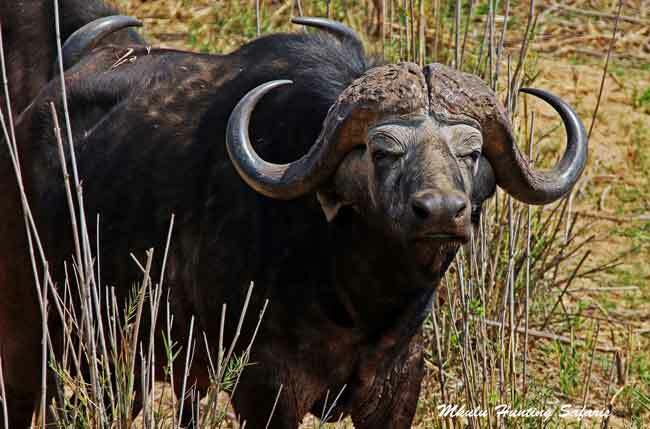 Mkulu Safaris also have African bow hunting safari packages with multiple choice trophy plains game species. 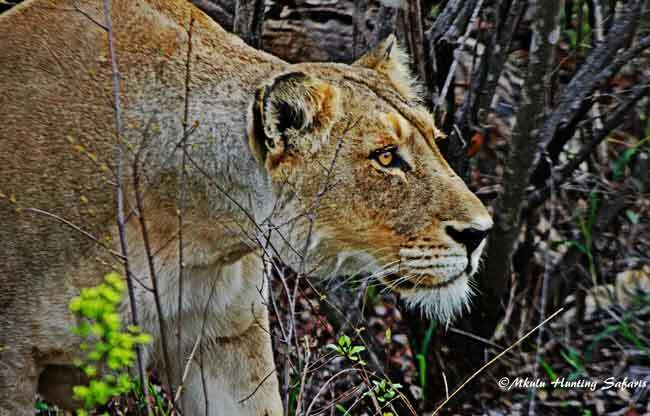 As a result your chances increase dramatically for a successful South African hunting safari. Bow hunting nyala South Africa leads towards your African spiral horn bow hunting grand slam hunt. 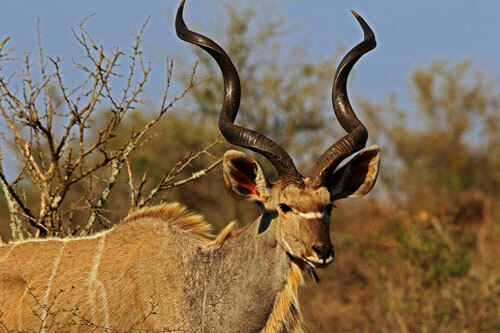 If you are interested in bow hunting nyala, then you may be interested in the African spiral horn grand slam bow hunting package. 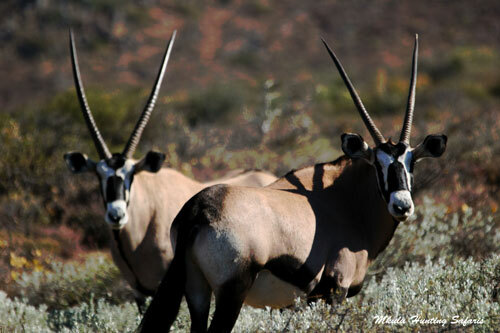 The spiral horn species that occur naturally in South Africa are: nyala, Cape eland, kudu and bushbuck. Bow hunting in Africa is a dream for many bow hunters that has to be experienced. In South Africa we have the widest variety of trophy animal species that can be bow hunted than in any other country or continent in the world. Bow hunting nyala in South Africa is right at the top of bow hunting utopia. Your bow hunt nyala package South Africa will take you to fantastic hunting areas. The bow hunting blinds will vary from being 5-star to normal run-of-the-mill blinds. Consequently, your preparation should therefore include to shoot from a standing and a sitting position. First of all, one aspect any African bow hunter must remember is shot placement. 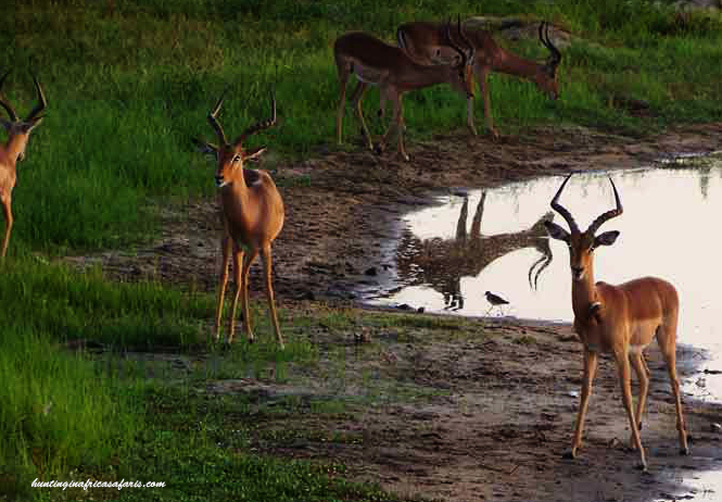 African game animals have their vitals further forward than that of other NA and or European deer. Study the shot placement diagram and remember where to place your arrow. When in the bow hunting blind, it initially seems like nothing is moving. Most noteworthy will be the bird sounds returning after you have entered the blind. While settling in, remember to find the odd spot that makes a noise when you move inside the blind. Without warning, the first animals will make their appearance coming in to water. 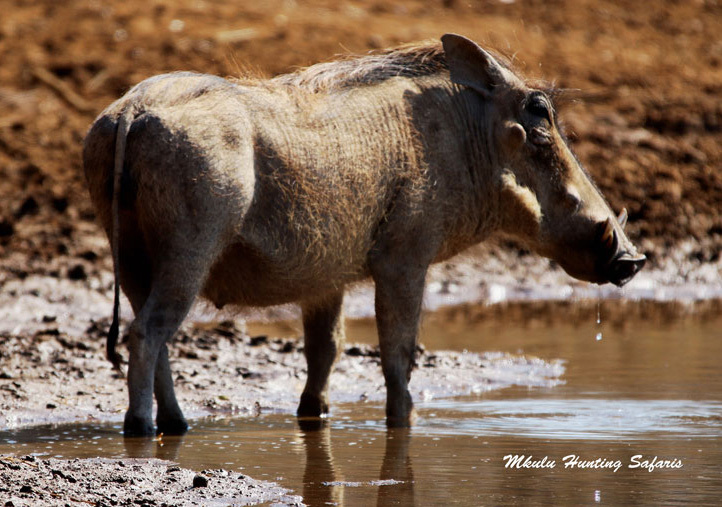 Warthogs, impala, the odd duiker or steenbok will likely be the first visitors. Nyala, being family of the spiral horn species, are much the same as kudu. Therefore, nyala make an entrance and do not just arrive at the water. It seems like nyala bulls walk on the tips of their toes and will cautiously approach until satisfied there is no danger. While waiting for the nyala to settle down, remain still and only reach for your bow once your PH signals you to do so. Draw, find the sweet spot and let your arrow fly true. We have access to five hunting concessions where you can bow hunt all day every day. This allows a very good opportunity of you successfully completing your nyala bow hunt package. 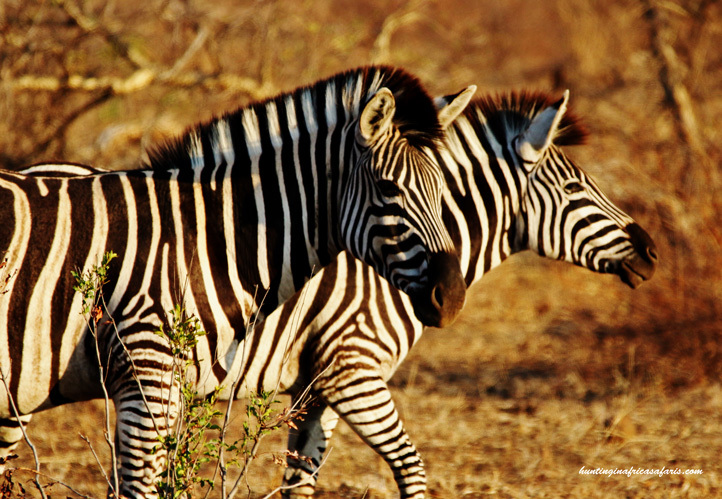 One of our hunting concessions is in the proximity of the Pongola Game Reserve. 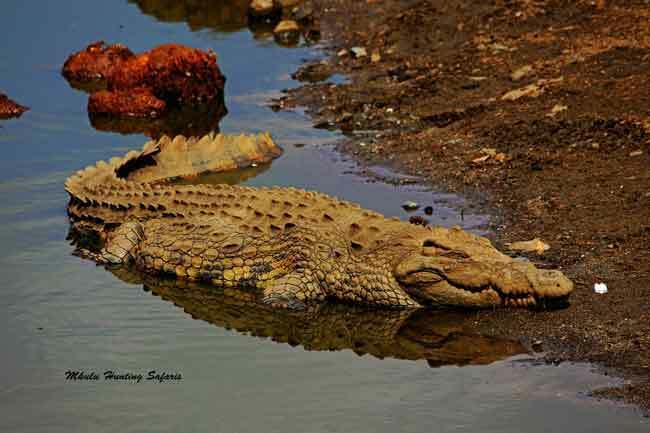 Time permitting, a visit to this game preserve can be undertaken and could even include some tiger fish fishing. All our bow hunting concessions have sufficient nyala and other game populations populations. Should we have difficulty with one of the target species, we have back-up plans in place. Below is a list of other animals you can bow hunt while busy with your nyala bow hunting package South Africa. Allow at least four weeks notice to apply for tags for those animals we need pre-issued tags for. All the other animals can be hunted without government tags. A comprehensive list of draw weights and KE for bow hunting South Africa.